IdentityForce stays vigilant all day, every day to keep your credit and personal information secure. You will receive instant notification of suspicious activity through your smart phone, tablet, or computer which gives you the ability to act before any damage is done. Knowledge is power! Take control by understanding your credit score, and where or how your online information is being used. Protect your keystrokes, pin numbers, and credit card information. Every plan comes with $1,000,000 identity theft insurance to cover lost wages and expenses. IdentityForce’s Certified Protection Experts offer comprehensive, 24/7 recovery and restoration services. Contact Jeremy Jacques, CPA if you have any further questions or would like to discuss the benefits of IdentityForce in greater detail. * No one can prevent all identity theft. Monitoring services may not uncover all suspicious activity. Instant alerts require subscriber's current email address. Restoration service requires subscriber to sign a limited power of attorney. 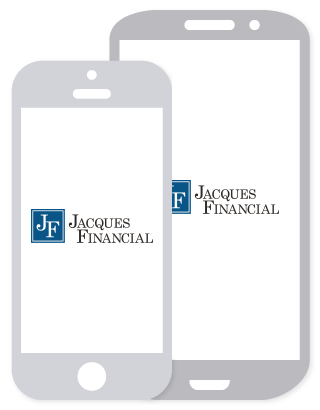 * Jacques Financial will receive a percentage of the fees paid to IdentityForce in the form of a partner commission.